It's not very hard to entertain a group of white rabbits...All one needs is plenty of tea, an assortment of muffins, delicious scones and pies, and, of course, plenty of carrot cake! 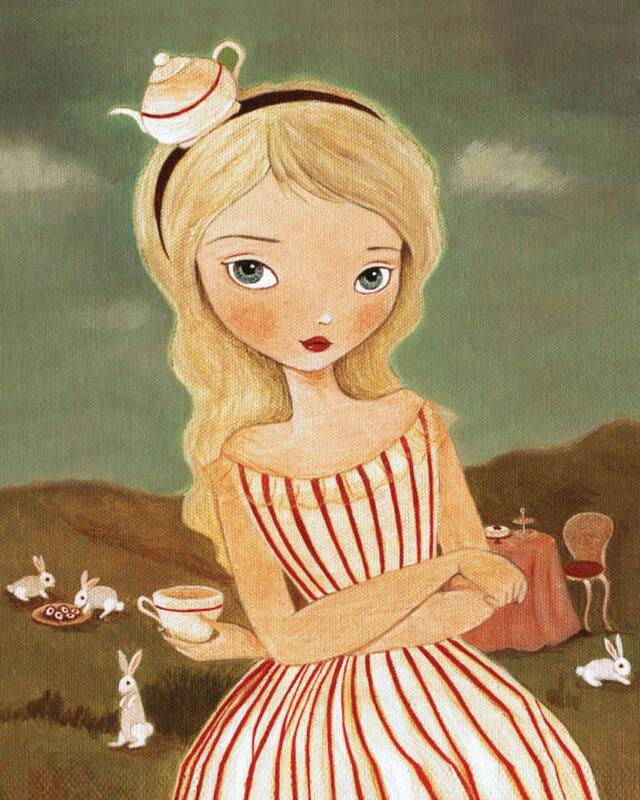 'A Tea Party' is a print reproduction of one of the paintings from my "Curiouser and Curiouser" series, whose theme revolves around an imaginary depiction of Lewis Carroll's Alice In Wonderland. The collection depicts a world filled with curious characters in beautiful vintage-inspired colours, set in a dreamy, fairytale atmosphere.